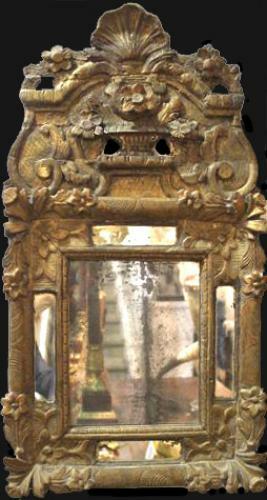 An 18th Century French Rococo Giltwood Mirror No. 4072 - C. Mariani Antiques, Restoration & Custom, San Francisco, CA. An 18th Century French Rococo Giltwood Mirror, retaining it’s original five mirror plates and carved with intricate rocaille motifs including shells, diapering and flowers.